A lot has been written about Trump’s win in the elections on November 8, 2016. So much that I don’t believe a post of mine will add much to the discussion. The reason I write a post anyway, is because I want to have my thoughts on Trump out there, so I can look back at them in the future to see where I went wrong in my analysis (because I really hope I am wrong!). So far I mainly used Twitter and Facebook to voice my opinion, but I prefer to keep my analysis on my own servers. I believe we are on the brink of some major changes to the world we live in, be it civil war in the US and/or Europe, or even a World War III caused by Donald Trump. This is not a conclusion I reached this week, but something I have been saying for a much longer time. It’s actually one reason I moved to Canada. I believe this country is much safer than many others because of its more moderate politics, the very restrictive gun laws, and the fact that climate change may actually make most of the country more livable. Because of the huge divide between rich and poor in many Western countries I expect that we may see a 21st century version of the French Revolution in many parts of the world. The fact that Trump was elected is a clear sign that people are fed up with the system and want changes now. The problem is that Trump won’t be able to provide these changes. Most of the voters don’t seem to realize that Trump is simply a liar, one who has been lying his whole life to get to where he is now. Not sure how successful he has really been financially, but for sure he made part of his money by bullying others and by not caring about the less powerful people. Don’t expect that to change. My prediction is that he won’t be able to keep most of his promises, except for the ones that are easy to fulfill and that will make his voters happy. Which ones? I believe mainly the racial ones. He may not be able to build a wall and let Mexico pay for it, but he will find a way to start sending immigrants back – or at the very least stop new ones from coming in. He will try to pass anti-gay laws, despite potentially having Peter Thiel in his inner circle. The fact that Trump does not publicly condemn the acts of hatred and racism that happened over the past days since his election, shows that his racism was not just talk to get elected. Of course he will blame others for not being able to fulfill his promises, that’s something he is very good at. And his voters will likely believe him and blame the ‘others’ for not getting a better life. He knows how to play the media and how to play his voters. The thing that worries me most about Trump and the fact that he got elected, is that it’s suddenly almost acceptable to be openly racist or anti-gay. This will set the US decades back. I realize many Trump voters are no real racists, but the fact that racism is not a deal breaker for them makes it hard to take them serious. I think very differently about several friends on my Facebook timeline. Many Trump supporters lost a lot of my respect for not being able to think for themselves and for not trying to stop racism, especially if they are traditional Republicans with decent jobs and lives. Of course many Trumps voters live lives that are hard to imagine for most Hillary Clinton supporters. They are extremely worried about the future, they live paycheck to paycheck – or worse, have no paycheck or need to work several jobs just to survive. In a way I understand that they would vote for a guy like Trump, just because they feel it can’t get any worse. Hillary would have given them more of the same, at least for Trump there would be a chance for a better life. Unfortunately that won’t happen, and they might be a lot worse off 4 years from now, because Trump can’t stop exponential change in technology. What would be needed, but what Trump will not understand, is a universal basic income. If you can’t provide jobs to people, at least provide them with basic financial security. With Trump that will never happen, because he not only has no clue about the lives of his voters, but also because he doesn’t really care for them. He needed their votes, now he is in power and he can focus on things that will benefit him instead of others. Another thing I am very worried about is that Trump is too ignorant to understand that climate change is real. He likely won’t see the effect of his own policies anymore, but they could be devastating for the world. Every month new temperature records are broken, storms and hurricanes are getting more powerful, but Trump does not want to see it and wants to create more jobs in ‘traditional’ energy. This scares me to death, right now the thing the world needs is someone who would be willing to fight to stop global warming. It may be too late already, but with Trump at the helm for the next 4 or even 8 years we may literally be doomed. Silicon Valley may be able to come up with solutions for clean energy that could reverse global warming effects, but the question is how powerful the Bay area will be under Trump’s reign. I would not be surprised if the start-up hubs in Europe (especially Berlin and maybe London if Brexit won’t take place) and China (Beijing, Shanghai, Hangzhou, Chengdu) will become much more significant over the next 4 years. There is some talk about California leaving the union, but I don’t see that happening soon. It seems more wishful thinking to distance themselves from Trump. Understandable but not very practical. But then again, Silicon Valley has shown many times that they can pull off things that nobody expected. What seems more serious to me is the number of protests that are taking place all over the US. It’s too early to tell whether this is a temporary thing or whether they will grow in size. But with social media this can grow into a real protest movement soon. The Trump voters joke about it on social media and call the protestors whiners who never had a set back in their lives. But they don’t understand that the protestors are not protesting the fact that a Republican won or that Hillary lost. The protestors may not be happy with that, but it would never trigger this kind of protests. They are only protesting the fact that Donald Trump won, simply because he is dangerous and unfit to be president of the USA. As we have seen in the Middle East over the past years small protests can quickly lead to mass protests that could lead to civil wars. And that’s why I started this essay with the fact that I am worried about the future and that a civil war is a serious threat. How serious? Nobody knows, but if Trump does not become more presidential over the next days, and if he won’t renounce the racist actions things could get ugly soon. Let’s hope I am very wrong. When I started this blog back in 2004, one of the first things I wrote about was podcasting. Those posts have disappeared in cyberspace, although I still have a copy somewhere on a CD-ROM (reminder to self: find and upload these files to the cloud before the CD-ROM stops working) and I could theoretically get them back on this blog. Podcasting was invented in the summer of 2004 by Dave Winer and Adam Curry. Literally from the first day podcasting started I have been listening to podcasts because I happened to follow both of their blogs at that time. When I had the idea for Tudou it was initially even based on podcasting: the plan was that people could subscribe to (audio) podcasts through something similar to what is now the standard podcast app on your iPhone (using RSS). The idea evolved from there to include video as well, and soon China’s first online video site was born. Podcasting didn’t take off as fast as I had expected, but the past 2 years has seen a revival of podcasts. The Serial podcast was certainly a big driver of this, but also the higher general quality of productions played a role. Another important factor is that more people now have connected cars, so it’s easier to listen to podcasts while driving. My favorite podcasts app is not the standard one installed on the iOS devices (with the generic name Podcasts), but a paid app called Downcast. The user interface is much more intuitive than the standard iPhone app and it’s super easy to add new podcasts (either by search or by copy/pasting a URL). 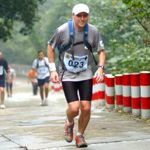 I mainly listen to podcasts in the car while driving to work, but I also started listening to audio programs while running around Stanley Park or while climbing the Grouse Grind. It’s a good way to forget about how tired you are and while doing sports you learn a lot of new things, or at least the topics make you think. Plus I like to be productive and this is a good way to do two things at the same time. Most podcasts that I listen to are focused on learning things. I don’t really listen to ‘fun’ podcasts, I prefer to listen to something that makes me think. This is the podcast produced by venture capital firm Andreessen Horowitz, one of most successful Silicon Valley based VCs. The topics are quite broad and generally not related to VC investing, but include topics such as genomics, virtual reality, bitcoin and the blockchain, and artificial intelligence. But also more fun topics are included, for example after Pokemon Go launched and took off in July this year, A16Z had a podcast about it. Generally the programs are quite high level, so you have to focus to make sure you don’t miss anything. It happens regularly that I need to rewind the program one or two minutes to make sure I understood things correctly. These podcasts always make me think, so you need to be in an environment that doesn’t have too many distractions while listening. Episodes are generally 30-40 minutes. A few months ago I started to look more into health, diets, quantified self, and life hacking topics. Bulletproof radio fits those topics exactly and since then I have listened to a number of their current and past episodes. Presented by Dave Asprey (who aims to live to 180), the show talks about any topic that can help you to upgrade your body, mind or life. When I started researching the ketogenic diet I found some highly interesting podcasts in this series for example. But Dave also interviews guests about topics as diverse as how to live longer, on gut ecology, smart drugs, GMOs, and something as simple as sleep. Not all episodes are great, so sometimes I skip to the next one after a couple of minutes, but normally the quality is high. Episodes are generally about an hour long. I start most days with this Canadian news report. I don’t really follow Canadian news (I don’t read local papers or watch the Canadian TV news), so this is the only way I learn about what’s happening in Canada. The program is called World Report, but the majority of topics is Canada related. A good way to learn a bit more about Canadian politics and things that are important for Canadians. Each episode is just 10 minutes, so this is a good program to listen to when you get into your car in the morning. This is an interesting podcast about what happens when a big earthquake will hit the Pacific Northwest, specifically Victoria and the area around Vancouver. It is sure that a big one (either a 9 at the scale of Richter off the coast of Vancouver Island) or a smaller, but more deadline one (a level 7 earthquake below the mainland) will hit this area one day. It could be this year or it could be in 100 years, nobody knows. A bit scary but I learned a lot from it. Also interesting when you don’t live in this area, because big earthquakes happen in other areas as well and the results are similar. This podcast refers a lot to the Christchurch, New Zealand, earthquake for example. I now know what to do if one hits and what the immediate aftermath of the quake will look like. The series consists of 5 episodes of about 30 minutes each. This podcast is co-produced by the New York Times and is based upon the regular NYTimes column Modern Love. In the podcasts well known people read one of these older columns and this is then followed by an update from the person who wrote the column on what has happened since then. There are some real gems in here that make me think more deeply about love and romance. Much more entertaining than most of the other podcasts I listen to, so this is a good one for late at night as well. 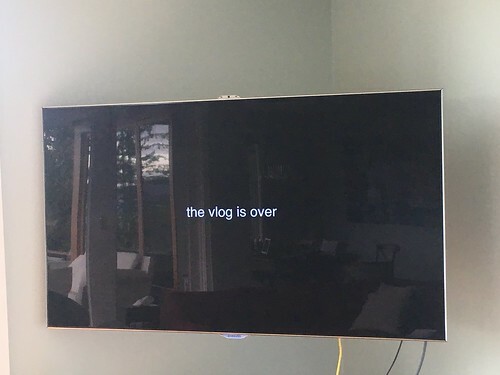 Most episodes run 15-20 minutes each. What can I say, this is probably the most famous podcast in the world and the reason many people first heard about podcasting. The show is now working on its third season. For me the first season was amazing, covering the murder trial and conviction of Adnan Syet. It was like a reality show about a convicted murderer and the more I listened to it the more I was convinced that Adnan is innocent. Because of the show he will actually get a retrial, 17 years after the crime happened. Fascinating how a podcast can achieve this. 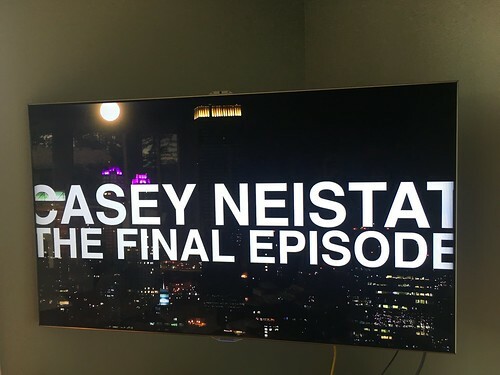 It was the first podcast that people talked about in my office, and I literally could not wait until each next episode would be posted online. The second season was good as well, but I disliked the topic of Sgt. Bowe Bergdahl deserting the US army and being captured by the Taliban, so I did not finish Season 2. However, the quality is so high and Season 1 was so good that I included it here anyway. I can’t wait for Season 3 to start! Episode length varies quite a bit, most are 30-40 minutes, but some are more than an hour. And then my my favorite podcast, the Tim Ferris Show. I have to admit that it took me quite a while before I started listening to the podcast, because I assumed Tim Ferris was a con artist. I enjoyed the 4 hour work week and the 4 hour body, but I did not really believe this guy was for real. After listening to just one episode of his podcast I changed my mind completely: Tim is a genius, with amazing ideas and who puts his money where his mouth is. He is different than most other people and that makes these podcasts fun to listen to. Every week Tim interviews a different guest, always a special person, but not necessarily very famous people. The guest can be a super entrepreneur (for example Naval Ravikant), a famous author (for example Paulo Coelho), a former politician and body builder (Arnold Schwarzenegger was on the podcast), or an expert in the ketogenic diet such as Dom D’Agostino. You never know what to expect, but I am hardly every disappointed. The interesting thing is that you learn about things that you normally would never read or even think about, and you hear from the experts in those fields. Tim himself is a good interviewer and is generally very well prepared. The podcasts are quite long however, most are between 1-2 hours but some stretch for more than 3 hours. Perfect for a long, slow run or just an evening at home with a bottle of wine. There are a lot more podcasts that I listen to, but mostly just a few episodes before switching to something new. I also started to watch video podcasts on YouTube, but I did not include those here. Maybe that’s something for a future blog post. If you have any suggestions for other audio or video podcasts feel free to email me or leave a comment below this post or on Twitter. A week ago Pokémon Go launched and within a few days it became the most popular game ever. It’s probaby the best example of what exponential growth means for people who are not following tech on a daily basis. Even in countries where it hadn’t launched yet people managed to download Pokémon Go from a foreign app store and play the game. I read that in Holland the game had been downloaded 1.3 million times before it officially launched this weekend (Holland has only 17 million inhabitants). As a result their servers keep on crashing, something I thought would never see again now that you can host everything in the cloud. It reminds me of Twitter, I am sure many readers will still remember the Fail Whale from Twitter’s early days. I was happy that my kids have school holidays already, so their friends would not give them the peer pressure to start playing the game as well. Bad luck, at Scott’s sailing camp last week some older boys had iPhones with the game installed on it, so on Thursday Scott came home with the question if I could get him Pokemon Go as well. Resistance is futile when games go viral, so I got the game from the US app store for him (Canada hadn’t launched yet) and put it on my phone. I wanted to start reading up on how the game works, but he grabbed my phone and started catching the first Pokemons in our house right away. Then he told me he wanted to walk to the beach below our house. You have to go through a small piece of forest to get there, and last summer a bear lived there for a while, so I don’t let him go there on his own yet. He told me that he located a Pokéstop there. I had no idea what a Pokéstop was, but it turned out to be a special place where you can get extra experience points and more balls to catch Pokémon. This one turned out to be a memorial plate that I had never seen before, even though I had been here at least a hundred times over the past years. This intrigued me, suddenly I realized the game was a lot more than ‘just’ a game. Scott and I ran down to the beach and the game measured how far we ran, because some eggs that Scott had collected and put into his incubator would hatch after walking 5 km. Wow, I suddenly realized how genius this was. This game would force kids to walk more! I assumed that you could fool it by just driving around with the game on, so we got into my Porsche and drove around the neighbourhood. The result: nothing…. You have to walk in order to get more distance! 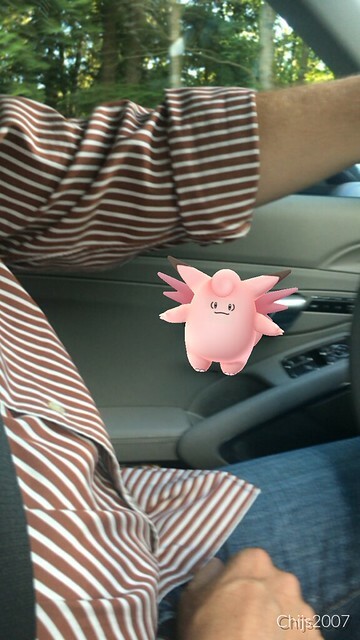 But it turned out there were a few Pokémons in my car as well, and Scott caught all of them. 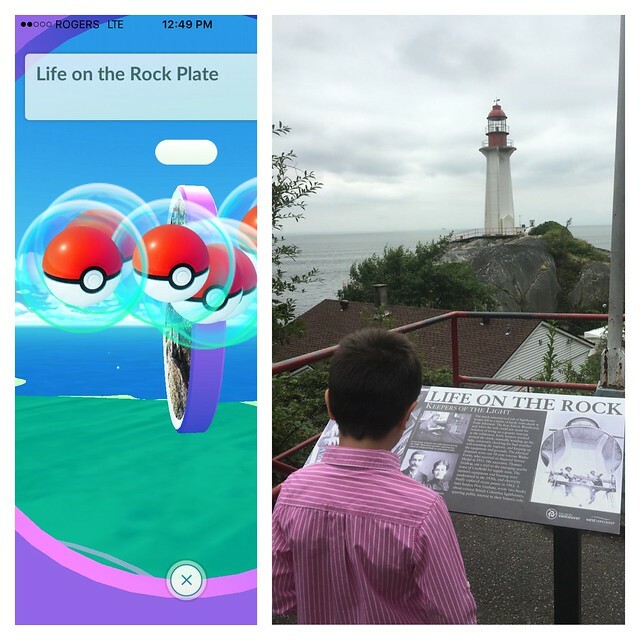 On Saturday Scott told me there were a lot of Pokéstops in Lighthouse Park, a wooded peninsula with a lighthouse close to our house. 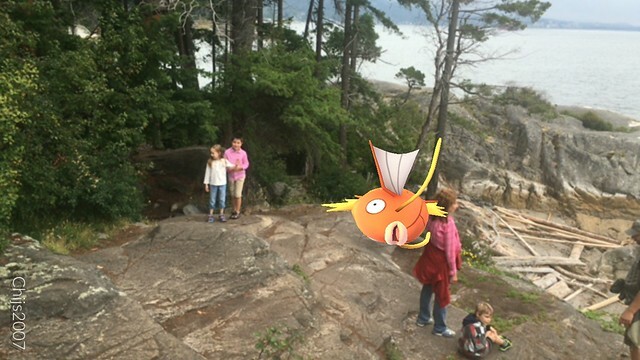 So he wanted to go for a hike there! Normally Scott never initiates these activities, but the game was so addicting that he wanted to go there to get more points and balls. In Lighthouse Park I normally hike or run a route that I know well, but on Saturday Scott was in charge. Elaine also joined and the 3 of us went on a kind of Treasure Hunt in the woods. It was pretty cool, because we found places that I had never been to. I really enjoyed it and the kids loved it as well. The game started to really impress me, I had never seen this before. Until…. the game servers crashed and we couldn’t load the game anymore. Suddenly both kids were tired and wanted to go home! I don’t think Pokemon Go will be able to keep up the hype for more than a few months. The game design reminds me a bit of the gameplay of Farmville games that I used to play when I was CEO of Spil Games Asia, when I tried to understand why they were so popular. Pokemon Go is many times better than Farmville of course, because it is a real life augmented reality game and because it adds the fighting element (after level 5 you can let your Pokemons fight against others in gyms). But just like with Farmville I don’t see people playing this for more than few months, unless they keep adding new elements to the game design. 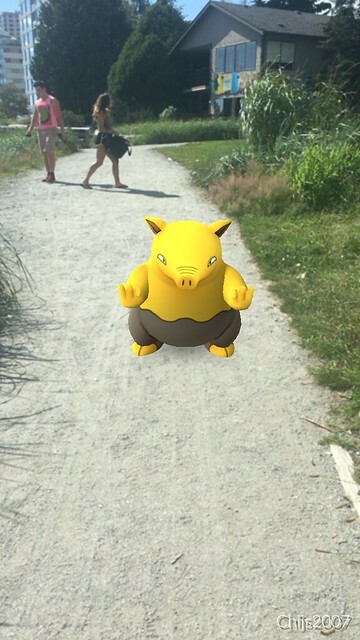 Pokémon is the first augmented reality game that breaks through. For the first time people will see the power of AR, but also for the first time they may forget that they are in the real world while they play the game. When Scott plays the game outside I stay with him all the time, because he forgets that he is playing a game (he is 8 years old now) and he may just cross the street without looking to catch a Pokémon. A few days ago I predicted on Twitter we’d see the first Pokémon accidents or even casualties soon, and unfortunately some people indeed died because they of the game. 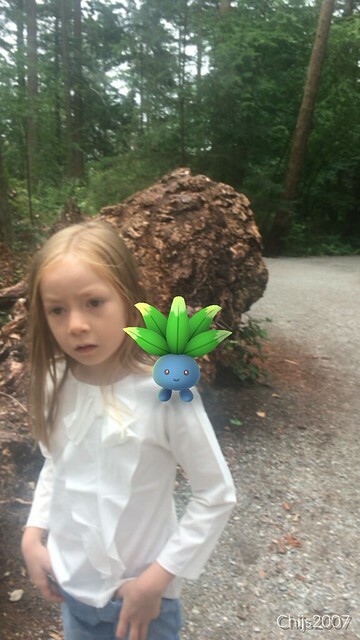 You can’t avoid it, especially in AR mode kids (and probably also adults) forget about the real world around them. For everybody who only reads this to make money (sorry for the lure bait title), there is an interesting opportunity right now to make a few thousand dollars this week – and maybe a lot more, and possibly for a much longer time. 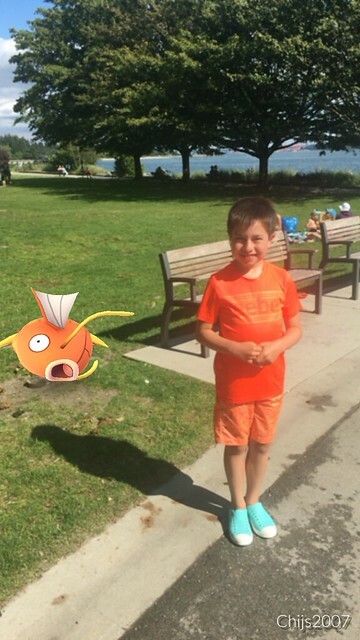 This is the first AR game that goes viral and that everybody seems to use, at least everybody younger than 30. But not many people are looking at the marketing opportunities yet, especially for shops or restaurants. 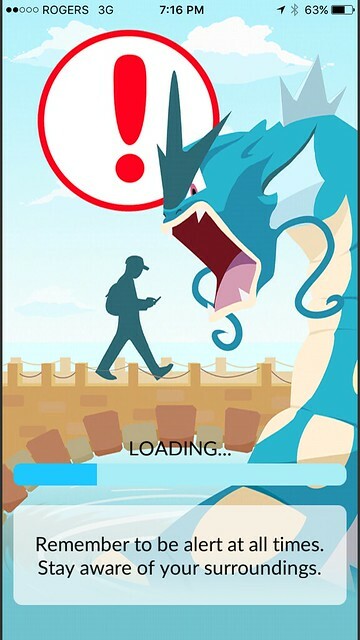 There is a huge opportunity here, because most shop owners may have heard about Pokémon Go by now, but they don’t really understand what it is yet. You can be the expert who can tell them what the game is and how they can make money with it! How? Simple, just spend the next 12 hours reading everything you can find online about Pokémon and how it works and start playing the game (if you are not already doing that). Within 12 hours you’ll know more than almost anybody about the game. Suddenly you are an expert! Normally it takes months or years to become an expert in something, here you can do it in a day. Next step is to design something you can sell to shops and restaurants that will lead to many more customers and revenue for them immediately. This will probably take you a few hours and after that you can start selling it. You can probably sell your knowledge for about $200 per package and it will take you maximum one hour per shop/restaurant. You could even use a no-cure-no-pay method, because I guarantee you these business will see their revenue skyrocket. What could you sell them? 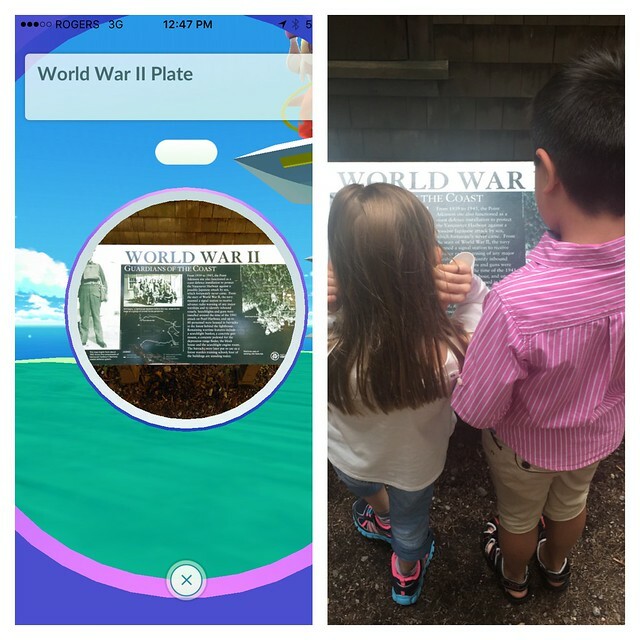 I would help them to set up a Pokémon account and get them leveled up a few levels so they understand how it works. Then you explain them how Lures work and show them how to buy Lures for their business. With Lures they are able to attract Pokémons to their business for 30 minutes, and they only cost something like $2.50 per hour. Having Lures in your business will attract customers because they can also catch these Pokémons. If a business puts some of the more exotic Pokémons on their social media feeds they are in business (literally!). Another way is to use Incense, but because Incense is only for the player that buys it you can’t use it for other customers. However, you can put a sign out that you reimburse others for their Incense if they manage to catch valuable Pokémons in your shop and post that (with a picture to prove it) on your Facebook feed. You can do all of this in less than an hour. The shop owners will be amazed what will happen to their traffic! There are of course many other ways to attract more Pokémont hunters to your business (and to keep them there), just Google it and claim the ideas for yourself. The opportunity won’t last long, so you have to be quick. Invest the time now and start going door-to-door tomorrow. You need to like to sell a bit, but if you are able to do that there is a lot of money to be made. Good luck and buy me a beer if you’re successful! 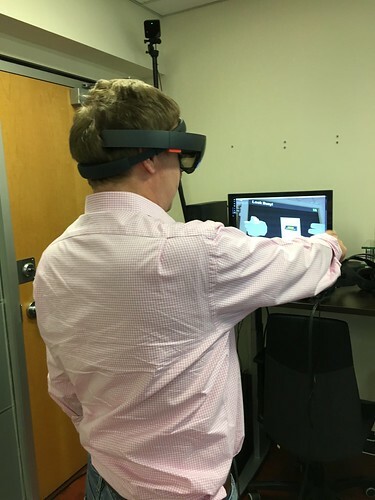 This week I had the opportunity to try out the latest virtual reality (VR) and augmented (mixed) reality (AR) devices. I have been following VR and AR closely for the past couple of months so I was quite excited to experience devices that had just come onto the market or are not even available to the public yet. Rod Furlan invited us to his downtown Vancouver office to try out his devices. Rod is an investor and entrepreneur, working on building the operating system of the Metaverse, basically a massively-distributed 3D simulation engine to power the vast network of interconnected virtual worlds. If you read Ready Player One you can think of that as a kind of OASIS, and Rod would be James Halliday (he likely won’t agree because OASIS was owned by a company and his system is open source). 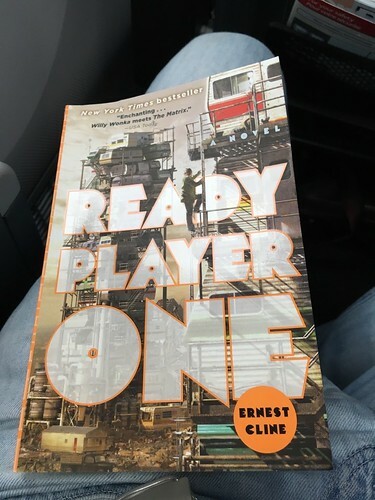 And if you have not read this book you should read it before Steven Spielberg’s movie comes out (filming just started)! 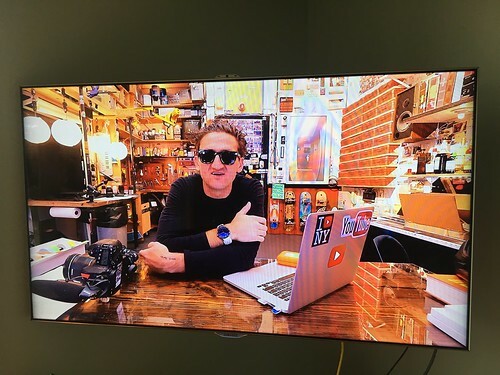 Rod is obviously a big fan of virtual reality and he is probably the only one in Canada right now with a HTV Vive, a Samsung Gear VR and a Microsoft Hololens in his office. The gear takes up so much space that he is now looking for a new home for his telepresence robot (send me a message if you’re interested). In case you don’t know the difference between VR gear and AR gear, it’s mainly that the headgear for VR is completely closed off (you can’t see the real world anymore) and for AR the glass is transparent and objects are projected in the real world. The Vive and the Gear VR are both VR devices, the Hololens is an AR device. We started with the Vive. The headset is quite heavy and you are connected with a cable to a powerful PC. I assumed that would be annoying, but once you put on the device you forget about it and you are in a different world. It takes a few seconds and then the presence sets in and you forget where you really are. It’s much better than the Google Cardboard that I have at home and in the office. The graphics are quite good (not real life good yet, but that actually doesn’t really matter) and if you move around quickly there is no noticeable lag. 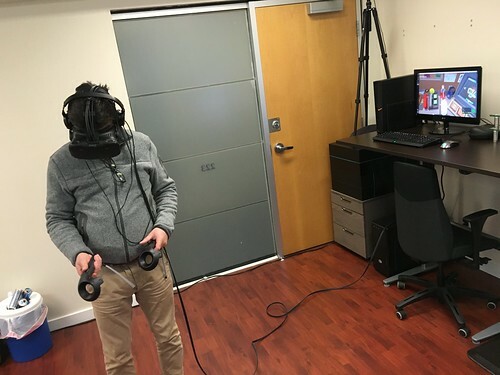 The Vive was in a virtual office environment where you could check email or pick up a phone, with the help of the controllers that represent your hands. That works extremely well, you really see your hand in the simulation and you can pick up anything (and drop it on the ground if you let it go, I tried it out). I could consider buying a Vive if more people would have one and so I could be in the same world with them. Now I understand why Facebook bought Oculus Rift last year for $2 billion. The future Facebook will be in virtual reality, you will be able to see your friends and interact with them, instead of just reading their status updates. Location, distance and time won’t matter anymore. I suddenly saw the future and it will be amazing. Maybe I should buy some Facebook shares again? Or should I spend the money instead buy a few sets and give them to my family and friends? The problem is of course that not everybody can afford to spend $2000 for a high end system (headset plus PC) to run the applications. For sure this will become much cheaper over the next years, but in the mean time there are other solutions. One of them is the Samsung Gear VR, which uses an Android smartphone as its processor. 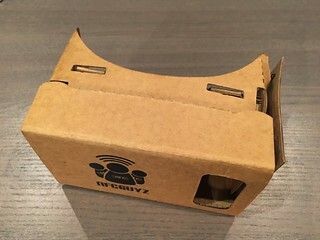 Like in Google Cardboard you put a smartphone in the headset and you are done. After the Vive the Gear VR is a bit of a step down, but it is still a great device for just $139 (plus a Samsung smartphone). Because there are no controllers yet you have to use your head to give commands (we played a game in outer space where you shoot enemy spaceships while you fly through the galaxy), which is a bit awkward at first. However, you also have the presence like you have in the Vive. I could imagine buying one of these devices to watch movies on long plane rides or even at home (there is a Netflix app that you can use). It may look a bit weird, but I think this might become the new normal until the devices get smaller. 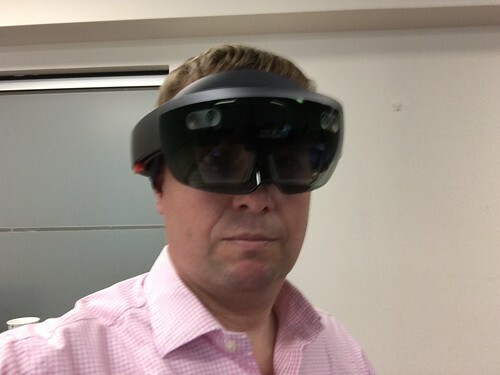 Then we moved from VR to AR and tried out the Microsoft Hololens. The headset is much lighter and because it’s transparent you don’t have the presence that you get with VR. However, it means you can stay in the real world and still interact with the people around you. Rod had prepared an environment for us in which he put up several virtual computer screens in the air and even an astronaut in a space suit. With the Hololens you can interact with these screens or objects. 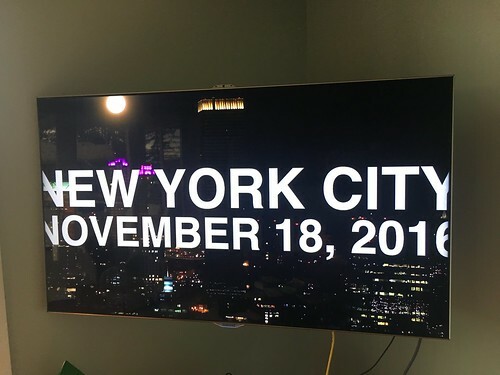 That means that in the near future we won’t have big screens on our desks anymore or even just have one laptop screen in front of us. You can create as many screens as you want and interact with them. This gives huge opportunities for work environments, but also to create your own private environment that nobody can see. Here I suddenly saw the future of work. A Hololens device is not as intrusive as the Vive or the Gear VR, so you can wear it for a much longer period of time. The moment you put it on you are in your own environment, wherever you are! Imagine going on holiday and bringing your office to your hotel room. Well, most people may not like that idea (I do though! ), but you probably get my drift. After this demo I am 100% convinced that VR and AR will replace computers and eventually smartphones. The headsets are still too expensive and too clunky, but that will change. I think it may become acceptable to wear these devices, first inside offices and homes and later also at home. They may become as small as sunshades, although batteries may be an issue for that form factor. With VR you won’t need to travel as much anymore, because most meetings can be done in VR as well. Given where VR is now I even think that you could take short holidays with VR. That may sound really weird, but if you try it out you may understand what I mean: VR transports you to a different world and you literally forget where you are. If you add a few more senses (right now it’s just video and audio), such as temperature, wind and potentially smell you can literally go to a tropical rainforest or the top of Mount Everest for a few minutes. It’s hard to imagine what life will be like 10 years from now (because that’s how fast this will go). What else will change? I believe that with VR and AR you can literally work from home while you are in a virtual office with other people. You don’t have to be in the same physical location anymore, meaning that I can build a house on an island or go sailing on my boat and work from there. For entertainment everybody will have their own IMAX theater with them all the time. Or you can travel to any location in the world and experience it without leaving your seat. Or one step further, you will eventually be able to travel to the past as well. I think people will recreate important moments in time, so you can experience them as if you were there. That seems like a difficult thing to do right now, but the tools to make them will get exponentially better and artificial intelligence will likely be able to help here. If I see what my 8-year old son can make in Minecraft now already (just on his iPad!) there is no doubt in my mind that by 2025 we can time travel with our own VR devices. Education will change completely because of this. Schools now already use Kahn Academy for junior school students for math and other subjects (Scott loves it because he earns points and tells me during dinner how many points he got). But that’s just on his iPad. I believe that by the time he finishes school many of his courses will be in VR, with teachers that are not in Vancouver. He will be able to experience history by watching important events like D-Day by sitting on the Normandy beach watching the allied soldiers run from their landing craft onto the beach. Or learn geography by traveling to any location in the world to experience it. In chemistry he can play around with molecules or atoms in AR to create new structures and see how they behave. Things go so fast, even without VR: this weekend he was composing a tune in Garageband on his iPad while sitting ont he couch (in his school they use Garageband for music), and it sounded great. When I was 8 years old I could hardly play the flute! I could go on and on about this, because I am super excited about the future. I believe all politicians should at least spend 2 hours trying out these devices to understand what they can do and how they will change the world. With VR we won’t need to most physically travel anymore and if we do we can use VR while we sit in our autonomous vehicles. Office towers in city centers will be half empty and land or houses far away from cities will become more valuable, because you can work from there as well with an AR device. I think VR and AR will eventually merge to some sort of New Reality (NR). NR just means being in a different virtual location than the physical location you are at. Can you imagine going sailing across the ocean and attending a rock concert while sailing? Or giving a speech to a group of students while you are days away from the nearest coast line? With NR location will become irrelevant – until your Internet connection stops working. The future is almost here and I am happy that I had the opportunity to experience it. I wish everybody could see this for themselves, but that’s not possible yet. I think we’ll see the first VR ‘cinemas’ or ‘Internet cafes’ fairly soon, it’s a big opportunity that people don’t seem to be grabbing yet in North America (I have seen some applications in Australia and Asia). I also think Apple will come with its own iPhone VR device and when that hits the market everybody will suddenly have a chance to experience VR. 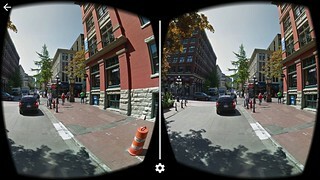 Last week I saw a demo from a Vancouver company that developed an AR device based on smartphones for less than $200. The idea is great (it’s based on this concept) and if they manage to pull it off it may be the first AR experience for many people. If you have not experienced VR or AR yet, try to get the experience. It will change your view of the world as it is. I am actually thinking about buying a few devices for our office so we can demo them to guests. Or maybe set up a dedicated VR/AR room for interested people and charge them a small fee to pay for it? The entrepreneur in me is waking up again… But I am a VC now, so I try to just fund companies instead of setting them up. Get in touch if you have the next big idea in VR or AR! 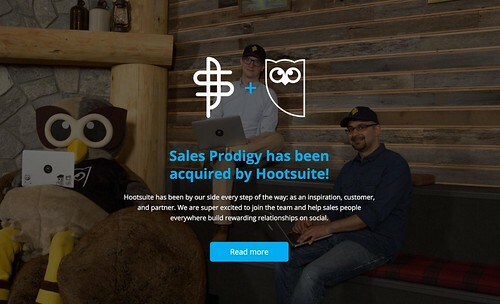 I am very happy to announce that Sales Prodigy, one of the companies that got started in our office and that we invested in, was sold to Hootsuite today. Below you will find our press release. CrossPacific Capital portfolio company Sales Prodigy acquired by Hootsuite. VANCOUVER, BC – March 29, 2016 – CrossPacific Capital (formerly XPCP Management) portfolio company Sales Prodigy, a mobile app built to help sales organizations tap into social selling opportunities, announced today that it was acquired by Hootsuite, the most widely used platform for managing social media. Sales Prodigy was founded by Mik Lernout in the summer of 2014 while he was an entrepreneur-in-residence at CrossPacific Capital in Vancouver. Over the past 18 months he built out the company to a revolutionary social selling tool for sales organizations. 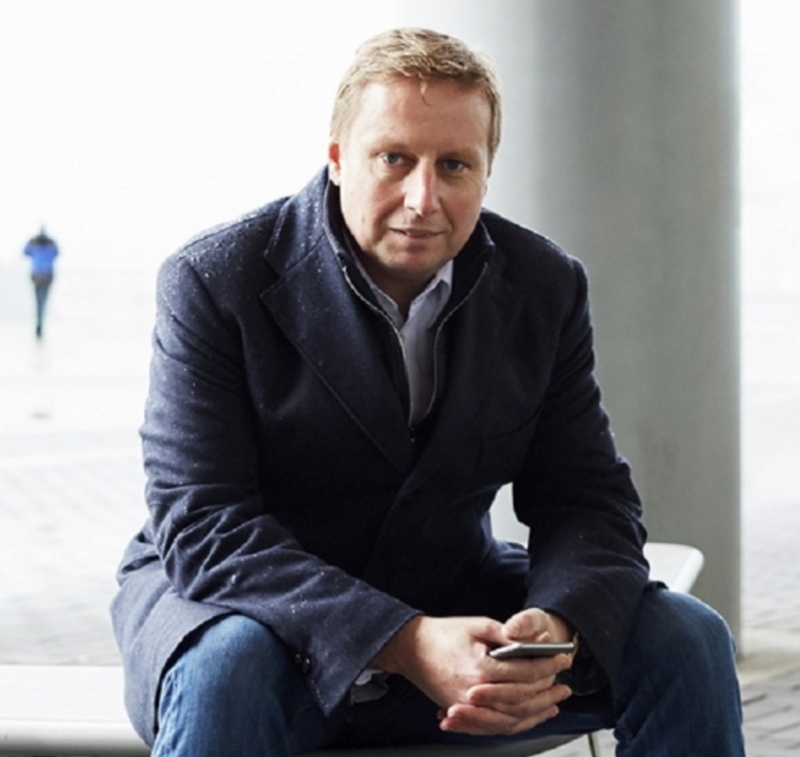 CrossPacific Capital led Sales Prodigy’s only investment round and Managing Partner Marc van der Chijs has been on Sales Prodigy’s board from the beginning until the sale to Hootsuite. Sales Prodigy built its business out of CrossPacific Capital’s Vancouver offices. CrossPacific Capital has a unique way of working with portfolio companies. The Canadian venture firm not only invests capital in the business but actively supports its portfolio companies and gives them the opportunity to work from their offices in Vancouver and Santa Clara. I am on my way back to Vancouver after spending a week in China. The main reason for my trip was a Dianrong board meeting in Shanghai, but I also had another couple of meetings and I took a few days off in Beijing. I always love to be back in China, the vibe there is amazing and things just ‘happen’ there. Valuations of companies that friends started after we left Vancouver are going through the roof and sometimes I regret a bit that we did not stay. Don’t get me wrong, Vancouver is amazing and I am super happy living there. But businesswise North America is just on a different level from China, things don’t move as fast (even in Silicon Valley!). China out-innovates the US with incremental innovation (making continous small changes to products), but Western media still describe China as a copycat. Each time I am back on the mainland I think about whether one day I should move back to Shanghai or Beijing. If it would be purely for business reasons I might consider it, because there are simply no better places in the world to do a start-up. However, there is a lot more to life than just business, and after the past days I realize I will likely never be able to move back. The problem is that I love China, but I also seriously dislike it at the same time. Things have changed a lot since we left 3 years ago. With taxi apps like Didi Dache and to a lesser extent Uber life has become a lot easier if you don’t have a car with driver. 3 years ago deliveries were big already, but now it seems that everything is just a mobile phone click away from being delivered. It’s super convenient and I don’t see this happening soon in Vancouver (even the San Francisco Bay still has a lot to learn from China). For example, when you search for a restaurant on Dianping you can not only make a one-click reservation but you can also get a car to pick you up through the integration with taxi apps, and you can pay in-app for the car with WeChat or AliPay. Of course WeChat is ubiquitous. When we left it was still mainly used for chatting and making calls, but now it seems that most of the Chinese Internet has moved onto WeChat. It’s basically a second (mobile) Internet that you can hardly live without. Paying with WeChat is completely normal and every company seems to be integrated with the service. You can do anything you want within the WeChat app, from booking a doctor’s appointment or a taxi, to ordering food or even automatically investing your savings on a p2p platform. Facebook Messenger has a lot to learn from WeChat. But what also has changed is that the pollution seems to be a lot worse. 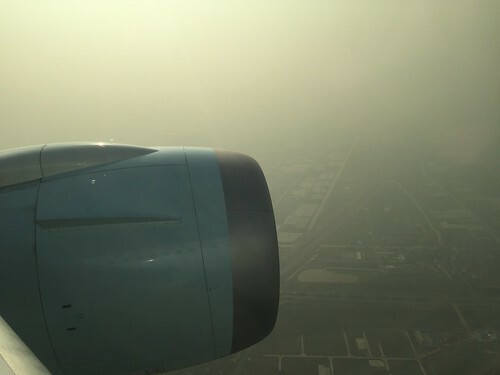 In Shanghai the air was relatively clean, but when I took the bullet train to Beijing things started to change. Upon arrival in Beijing I started to cough right away and that did not stop during my whole stay there (even now on the airplane I am still coughing). We had our house covered in air purifiers and we did not open any windows during our stay there, just to keep the pollution out. Inside we managed to get the AQI down to about 30-40 while outside the readings were hazardous on 2 consecutive days (AQI over 350). I really wanted to run but I worried that it might make me physically sick. My family all got sick during the trip, from coughing to losing our voices and even slight fevers and headaches. I actually wondered if we should still take holidays in Beijing when the situation doesn’t improve. If you stay longer in Beijing you get used to it and the coughing normally stops, but with our clean Vancouver lungs you feel the effect immediately. Internet is also a big problem. 3 years ago a lot of sites were blocked but you were able to get around the restrictions fairly easily with VPNs. At that time the government generally just wanted to make it a bit harder to get onto blocked websites, but nowadays it’s almost impossible to get on Facebook. Most VPNs don’t work anymore, and it’s hard to know in advance which ones to install before you fly. Through a former Tudou colleague we were able to get our hands on a good one, but even that one stopped working regularly (especially on mobile). I find it more and more annoying that I can’t access my gmail without a good VPN anymore, or that uploading to Facebook fails half of the time. Maybe the situation in Beijing is worse than in the rest of China. At least my hotel in Shanghai had a built-in VPN so you did not realize that you were accessing the Internet from China. For some reason Chinese 4G cards don’t seem to work with Canadian iPhones. So on the 3 iPhones that I had with me I was only able to get 2.5G… Using public wifi is a hassle and often doesn’t work with VPN connections. Most public wifi connections need you to input your mobile phone number to receive a SMS (for censorship purposes) and in the business lounge at Beijing airport I even had to scan my passport in order to get a wifi code (a code that did not even work!). Traffic has not improved either, but it’s something I was prepared for. I decided not to drive in China anymore a few years ago, I still have my driver’s license but I prefer having a driver. Driving myself literally drives me crazy. While Shanghai is still reasonably okay (except for rush hour), you can’t do more than 2 meetings a day in Beijing anymore because driving from one meeting to the other can easily take 1.5 hours. At least it’s easier now to get taxis because of all the apps, but tourists are out of luck: most taxis don’t seem to pick up passengers on the street anymore but only rely on apps where they people can bid to get a taxi faster by paying a few more renminbi. Except for Uber (which doesn’t have a lot of drivers) all apps seem to be in Chinese only. I had a good time in Shanghai and Beijing but I realize once again that the decision to move to Vancouver was the right one. Making potentially more money in China is nice, but the clean air and the beautiful nature in Vancouver are more important. It may add many years to my life (knock wood, praise Murphy). I better understand now why so many Chinese are buying properties in my new hometown. And given the extreme property prices in China’s big cities the prices in Vancouver are still quite reasonable. The local Vancouver papers complain on a daily basis about how expensive properties are, but compared to Beijing houses and condos are still relatively cheap. I believe that prices have a lot more upward potential. That’s just the price you pay for living in one of the best places in the world.